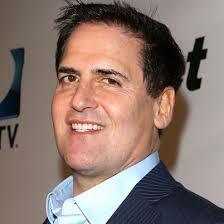 I think Mark Cuban must be a Financial Excellence fan. Say what you want about the outspoken owner of the Dallas Mavericks and self-made billionaire, but he brings up some excellent points in this interview. Especially his comment about being a moron if you start businesses with loans. I often say if you want to be a millionaire, do what millionaires do. The same obviously holds true for billionaires. Here’s one with some great advice on starting businesses and the amount of work it takes to make a start-up business succeed. I’ve said for years that loans are a bad idea for businesses. Every business plan template you can find online is designed to convince the bank to loan you money. The funny thing is, by loaning money you’re taking a shortcut in your business plan. If you put together a solid business plan that doesn’t rely on borrowed money to work, you’ve got a plan that’s much more likely to succeed. That’s because it forces you to make sure your business plan is rock solid before just jumping into it. When you use someone else’s money, you’re much less likely to behave as if it’s your own money on the line. Is it tough to start a business without a loan? You bet it is. Can a business fail without a loan? Of course. Are there some cases where borrowing makes more sense? Sure, it’s more convenient and can help the business owner leverage their resources. A better route, though, might be to get some investors to help fund the business instead. What do you think? Is it even possible to start a business without a loan in today’s environment? Or am I off my rocker?